Born in Nagoya, Japan in 1898, as one of twelve children, Shinichi spent his childhood working at his father's violin factory (current Suzuki Violin Co., Ltd.), putting up violin soundposts. A family friend encouraged Shinichi to study Western culture, but his father felt that it was beneath Suzuki to be a performer. He began to teach himself how to play the violin in 1916, however, after being inspired by a recording of Mischa Elman. Without access to professional instruction, he listened to recordings and tried to imitate what he heard. At the age of 26, the Marquis Tokugawa, a friend of Suzuki, persuaded his father to allow him to study in Germany, where he studied under Karl Klingler. In Germany, he claimed to have spent time under the guardianship of Albert Einstein. He also met and married his wife, Waltraud Prange (1905–2000). Upon his return to Japan, he formed a string quartet with his brothers and began teaching at the Imperial School of Music and at the Kunitachi Music School in Tokyo and started to take interest in developing the music education of young students in violin. During World War II, his father's violin factory was converted into a factory to construct seaplane floats. Consequently, it was bombed by American war planes and one of his brothers died as a result. During this time, he and his wife finally evacuated to separate locations when conditions became too unsafe for her as an ex-German citizen, and the factory was struggling to operate due to lack of wood supply. Suzuki left with other family members for a rural mountainous region to secure wood from a geta factory and his wife had to move to a "German village" where other Germans and ex-Germans were sequestered. Once the war was over, he was invited to teach at a new music school being formed, and agreed to the position with the condition he would be allowed to develop teaching music to children from infancy and early childhood. He adopted into his family and continued the music education of one of his pre-wartime students, Koji, once he learned he was a wartime orphan. 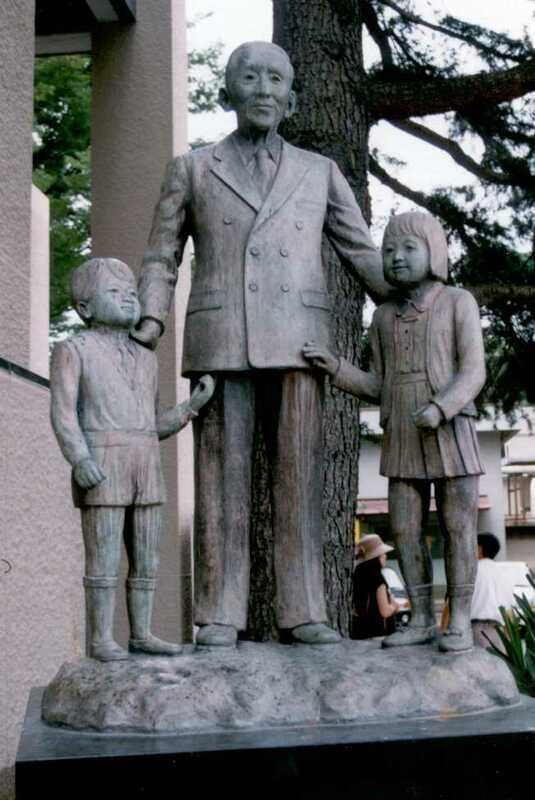 He and his wife were eventually reunited and moved to Matsumoto where he continued to teach. 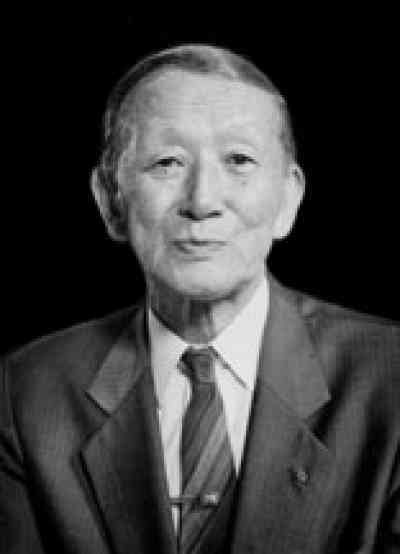 Shinichi Suzuki died at his home in Matsumoto, Japan on 26 January 1998, aged 99. Shinichi Suzuki's experiences as an adult beginner and the philosophies that he held during his life were recapitulated in the lessons he developed to teach his students. Schools of early childhood education have combined his philosophies and approaches with pedagogues such as Orff, Kodály, Montessori, Dalcroze, and Doman. Suzuki also collaborated with other thinkers of his time, like Glenn Doman, founder of The Institutes for the Achievement of Human Potential, an organization that studies neurological development in young children. Suzuki and Doman agreed on the premise that all young children had great potential, and Suzuki interviewed Doman for his book Where Love is Deep. The human being is a product of his environment. The earlier, the better – with not only music, but all learning. Repetition of experiences is important for learning. Teachers and parents (adult human environment) must be at a high level and continue to grow to provide a better learning situation for the child. The system or method must involve illustrations for the child based on the teacher's understanding of when, what, and how (Kendall, 1966). The epistemological learning aspect, or, as Suzuki called it, the "mother tongue" philosophy, is that in which children learn through their own observation of their environment, especially in the learning of their first language. The worldwide Suzuki movement continues to use the theories that Suzuki himself put forward in the mid-1940s and has been continuously developed to this day, stemming from his encouragement of others to continue to develop and research the education of children throughout his lifetime. Suzuki Talent Education or the Suzuki Method combines a music teaching method with a philosophy that embraces the total development of the child. Suzuki's guiding principle was "character first, ability second", and that any child can learn. In 2014, 16 years after Suzuki's death, U.S. violin teacher Mark O'Connor, who sells a competing method, wrote a blog post claiming that Suzuki lied about his training in the 1920s. The allegations were quickly refuted by Lois Shepheard, a teacher of the Suzuki method who learned Japanese in Japan and studied with Suzuki, by the International Suzuki Association (ISA), by cellist Amy Sue Barston,  and by Talent Education Research Institute (headquartered in Matsumoto, Japan). In particular, the Talent Education Research Institute provided the letters by Prof. Karl Klinger written to Suzuki when he was his student mentioning lesson dates and the pieces that he wanted Suzuki to study with him, and a self-portrait from Dr. Albert Einstein signed "Dear Mr. Shinichi Suzuki, For our remembrance Albert Einstein." ^ a b Suzuki, Shinichi & Waltraud (1966). Nurtured by Love. ^ Wood, Enid. "Shinichi Suzuki (1898–1998): A Short Biography". Retrieved 19 April 2013. ^ Kerstin Wartberg (author); Ursula Mueller-Gaehler (translation into English) (2009). "Suzuki's family background - Life between tradition and progress" (PDF). 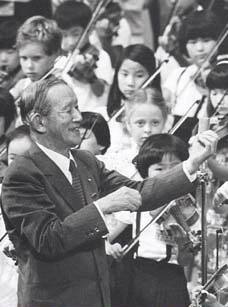 Shinichi Suzuki: Pioneer of Music Education. Deutsches Suzuki Institut. pp. 8–29. Retrieved 18 October 2016. ^ "Just in: Suzuki empire strikes back at fraud allegations"
^ "TERI(Japan) Personal History of Shinichi Suzuki". Retrieved 27 March 2016. ^ Hermann, Evelyn (1996). Shinichi Suzuki: A Man and His Music. Alfred Music. ^ a b c d e Suzuki, Waltraud (1993). My Life with Suzuki. Alfred Music. ^ "New England Conservatory of Music: Honorary Doctor of Music". Retrieved 19 April 2013. ^ "University of Rochester: Honorary Degree Recipients, 1851– present". Retrieved 19 April 2013. ^ "Cleveland Institute of Music: Youth & Adult Studies". Retrieved 19 April 2013. ^ Barber, Barbara (September 2009). "Longmont Suzuki Strings: Play for Peace – Pennies for Peace". American Suzuki Journal. 37 (4). Cannon, Jerlene (2002). Diamond in the Sky. Warner Bros. Publications 15800 NW. 48th Ave., Miami, FL, 33014: Summy-Birchard Inc. ISBN 978-1-58951-400-3. The Cleveland Institute of Music. Nurtured by Love: the life and work of Shinichi Suzuki (Video Documentary). Telos Productions, Inc.
Suzuki, Shinichi (1969). Nurtured by Love: A New Approach to Education. Copyright 1969 by Shinichi Suzuki, 19th printing April 1981. Waltraud Suzuki. Smithtown, New York: Exposition Press. ISBN 978-0-682-47518-1.